Lovely Girl with Chicks Image! This is a Lovely Girl with Chicks Image! What a beautiful Image this one is! 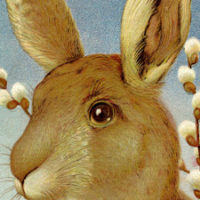 Shown here is a marvelous Antique Card, with a lovely Spring Scene. 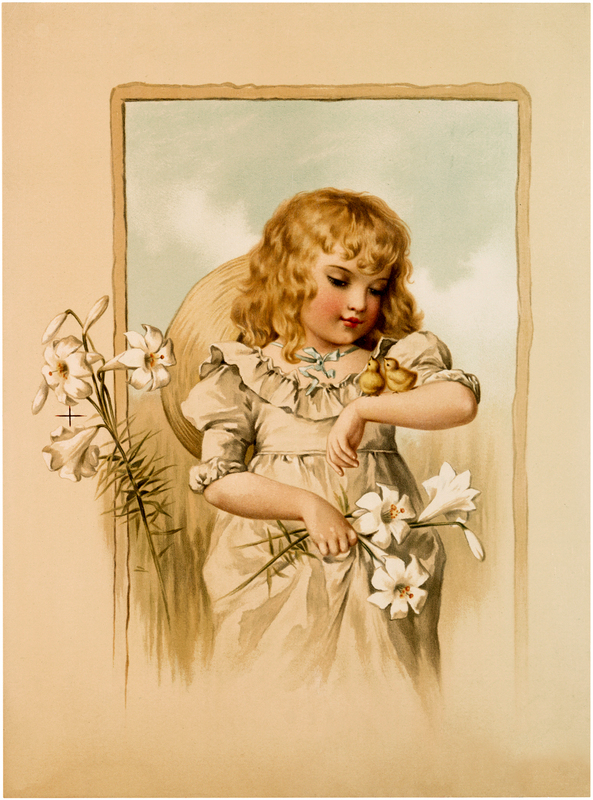 The little girl in the picture is gathering White Lilies and she has two darling chicks on her arm! A wonderful picture to print out and use for your Collage, Decoupage or Mixed Media Projects! If you follow me on Facebook HERE, you may recall when I created a Video with this one. I’ve been having so much fun creating little inspirational videos to share on Facebook each morning! « How to Use Furniture Aging Powders -Rust Dust Effects! Oh, this really is lovely! The soft colors, fading at the bottom- Love it! Thank you! This is such a cute image and those chicks are adorable. Thanks! Loving all your downloads.